I am extremely proud to announce my participation in the inaugural SQL Server workshop at this year’s VMworld US in Last Vegas on August 27th. If your SQL Servers are running in a VMware environment, this course is critical to your success! The first business critical applications and databases pre-conference workshop will cover all pertinent aspects of best practices for deployments and ongoing management of MS SQL Server running in virtualized infrastructure. This deep-dive full-day workshop will be delivered by VMware technical SQL Server specialists working in concert with world renowned external SQL Server and Virtualization experts, including me! The attendee will experience a workshop rich with technical content to include subjects such as vMotion for Failover Cluster Instances, Availability groups, SQLaaS with vRealize Automation and Site Recovery Manager. The content will be focused on best practices for design, implementation and management augmented with anecdotes of successful customer implementations. SQL Server professionals, listen up. If your infrastructure admins are attending VMworld this year, please let them know about this course. Training them in the intricacies of the VMware platform as it relates to SQL Server, and having the training come from SQL Server professionals, is going to make your virtualization experience better. 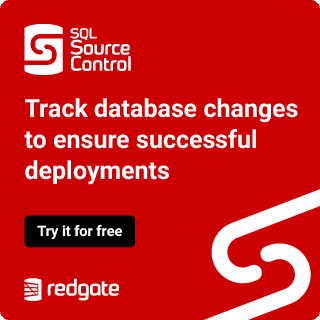 AND – It’s not just SQL Server! A terrific Oracle on VMware session is being held on the same day as well. If you are running Oracle on VMware, I highly recommend your administrators head to this session as well!